We will have a CentOS Booth at the 2016 Texas Linux Fest on July 8th and 9th in the Austin Texas Convention Center. Please stop by the CentOS booth for some Swag and discussion. We will also have several operational CentOS-7 Arm32 devices at the booth, including a Raspberry Pi2, Raspberry Pi3, CubieTruck (Cubieboard3) and CubieTruck Plus (Cubieboard5). These devices are showcasing our AltArch Special Interest Group, which produce ppc64, ppc64le, armhfp (Arm32), aarch64 Arm64), and i686 (x86 32) architectures of CentOS-7. We also will be glad to discuss the new things happening within the project, including a number of operational Special Interest Groups (SIGs) that are producing add on software for CentOS including The Xen Hypervisor, OpenStack (via RDO), Storage (GlusterFS and Ceph), Software Collections, Cloud Images (AWS, Azure, Oracle, Vagrant Boxes, KVM), Containers (Docker and Project Atomic). 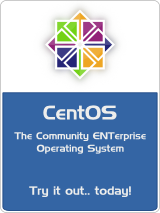 So, if you have been using CentOS for the past 12 years, all that is happening just like it always has (long lived standard Linux distro with LTS), as well as all the new hypervisor, container and cloud capabilities.